Combustible - Should be handle in ventilated areas,extra care should be taken that there are no ignition sources. Air concentration of Exxsol D60 above 184 ppm can cause eye and lung irritation. Extended periods of skin exposure may lead to irritation. 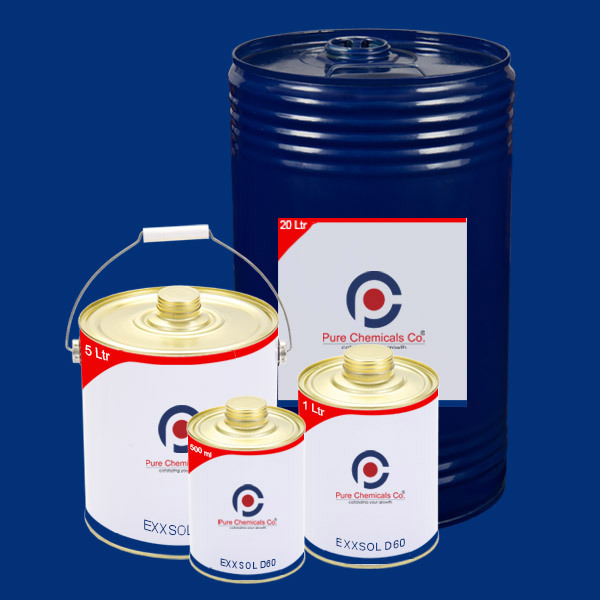 As an Exxson D60 seller, safety of our customers is of utmost importance and so we make COA and Exxsol D60 MSDS available for every chemical purchased from us. Our easy payment option, availability of bulk and retail quantities and prompt delivery system are sure to make online buying of chemicals easy.